Criminal Defense Lawyer Roberto Balli has extensive experience in Federal Criminal Defense. Roberto Balli is licensed to practice in the Federal Courts and Courts of Appeal and has been doing so for many years. 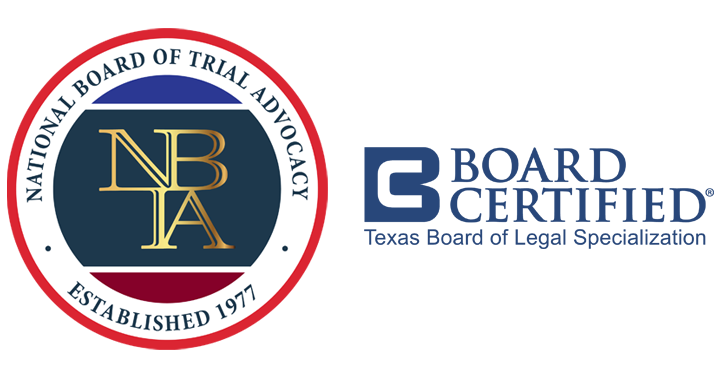 Specifically, Roberto Balli has been licensed to practice law in the Courts of the Southern District of Texas and in the Fifth Circuit Court of Appeals. The great majority of the federal criminal cases involve drug trafficking or drug possession conspiracies, alien smuggling or alien transporting conspiracies, and weapons/firearms charges. We have extensive experience with all of these areas of federal criminal law. Federal drug trafficking or drug possession conspiracy charges are very common in Laredo, Texas. Federal drug charges can be the most serious of criminal charges because the sentences can be very harsh. A person facing federal drug charges needs to hire an experienced criminal defense lawyer to help get the best possible outcome in their case. Roberto Balli has developed extensive experience in defending federal drug charges. Our office has represented clients on charges involving cocaine possession, marihuana possession, methamphetamine possession, and steroid possession. Many of the cases involve charges of conspiracy to possess drugs/narcotics/controlled substances or conspiracy to possess drugs/narcotics/controlled substances with the intent to distribute. We have handled federal drug charges for our clients all the way from arrest to trial. Since Laredo, Texas is along the Mexican border, we also see many alien smuggling/alien transporting cases. Some of the common charges that we see involve conspiracy to transport aliens, conspiracy to harbor aliens, conspiracy to “bring in” aliens, and aiding and abetting aliens. A person facing federal alien smuggling/alien transporting charges needs to hire an experienced criminal defense lawyer to help get the best possible outcome in their case. Roberto Balli has developed extensive experience in alien smuggling/alien transporting cases by defending many clients that have faced these types of charges. Many of our clients have been charged with conspiracies involving the transportation of dozen of aliens and often the charges involve conspiracies involving the transportation of hundreds of aliens. We have handled federal alien smuggling/alien transporting case for our clients all the way from arrest to trial. We see many federal firearm/weapon charges in Laredo, Texas. Some of the most common types of cases involve felon in possession of a firearm and use of a firearm to commit a crime of violence. A person facing federal firearm/weapon charges needs to hire an experienced lawyer to help get the best possible outcome in their case. Roberto Balli has developed extensive experience in federal firearm/weapon cases by defending clients that have faced these types of serious charges. Many of our clients have been charged with felon in possession of a firearm or use of a firearm to commit a crime of violence. We have handled federal firearm/weapons cases for our clients all the way from arrest to trial. If you would like the Balli Law Firm representing you in a criminal defense matter, please contact the firm's attorneys at (956) 712-4999 or email us. How does the new law, United States Sentencing Guideline, reduce sentences in Federal Drug Cases (Two Levels Off or Minus Two)? In April 2014, the United States Sentencing Commission voted for a new law that decreases sentences in Federal Drug cases by two levels (two levels off / minus two) in most drug cases. This new sentencing guideline law in Federal Drugs cases means significant sentencing reductions for many people convicted of Federal Drug Crimes and Conspiracies. Although the new sentencing guideline law (two levels off / minus two) for Federal Drug Cases does not go into effect until November 1, 2014, most federal judges started giving sentence reductions (two levels off / minus two) by applying this new law since March 2014. This is because U.S. Attorney Eric Holder issued a memorandum ordering Assistant U.S. Attorneys to request the sentence reduction under the new law. Motion for Retroactive Reduction of Sentence in Federal Drug Cases (Two Levels Off or Minus Two)? Beginning November 1, 2014, Federal criminal defendants that have been convicted of and already sentenced for federal drug crimes such as Federal Drug Possession or Federal Drug Conspiracy are eligible to apply for a retroactive sentence reduction under the new law (two levels off / minus two). What does retroactive application of the U.S. Sentencing Commission’s new Federal guideline in drugs cases mean? Federal criminal defendants in drug cases that have already been sentenced and are now serving time in prison can apply for a sentence reduction. The new United States Sentencing Commission’s guidelines (two-levels off / minus two) would be applied to that person’s federal drugs case and that person would be resentenced at the new lower guideline. The new lower guideline, under the new law, will give lower sentences to many Federal inmates that were convicted of drug crimes. The retroactive application of the new drug guidelines (two levels off / minus two) will have a greater impact on those who received the longest sentence. Under the new law (two levels off / minus two), retroactive sentence reductions for most Federal inmates convicted of drug crimes will be between 12 month and 62 months. What can the Balli Law Office do for you? Roberto Balli and Claudia V. Balli of the Balli Law Office are representing criminal defendants in applying for sentence reductions (two-levels off / minus two). Roberto Balli is board certified in criminal law. Roberto and Claudia Balli have lectured on Federal Sentencing, published and co-authored an article on Federal Sentencing. Roberto and Claudia Balli attend the U.S. Sentencing Commission trainings annually, including the September 2014 meeting of the Sentencing Commission, where the retroactive application of the two-levels off or minus two for Federal drug cases is the topic of discussion. A motion for retroactive application of the sentencing guidelines in drug cases (two levels off / minus two) is the most important motion that a criminal defendant will ever file. Therefore you should pick experienced lawyers to make sure that you get the two levels off retroactively. The Balli Law Office is accepting clients for retroactive application of the two levels off or minus two on Federal drug cases under the new law. We are filing motions for sentence reductions based on the two levels off or minus two. We are expecting that our clients who have previously been sentenced in Federal drug cases to receive retroactive sentence reductions from 12 months up to 62 months. We are expecting some of our clients to be released from prison on the first possible release date (November 1, 2015). Recently CBP and ATF have stepped up efforts along the border with Mexico to intercept firearms-guns and ammunition being taking from the U.S. to Mexico. CBP and ATF have arrested many people along the Texas-Mexico border for attempting to export firearms, guns, or ammunition into Mexico. Because Laredo, Texas has four ports of entry, we see many individuals prosecuted for attempting to export firearms, guns, or ammunition into Mexico. Cases involving the exportation of firearms, guns, or ammunition into Mexico are prosecuted in Federal Court in Laredo, Texas. Laredo Criminal Defense Lawyer Roberto Balli has defended people charged with attempting to export firearms, guns, or ammunition into Mexico in the Federal Courts in Laredo, Texas. ATF has also stepped up efforts to prosecute cases involving felons in possession of firearms or ammunition. Laredo has recently seen an increase in the prosecution of individuals for these types of cases. Laredo Criminal Defense Lawyer Roberto Balli has represented people in both the Federal Courts and the State Courts for this of crime.